The history of how J.FitzPatrick Footwear came to be, started with the simple but bold vision: to see more men across the world wearing better shoes. That is the short version; the long version follows. Growing up in Seattle, Wa (USA), Justin FitzPatrick was immersed in a culture where a lack of pride for one’s footwear was rampant. As Justin had always been passionate about footwear, even from a young age, seeing this day in and day out affected him. He knew that his city was not the only one that suffering this lack of style sense and vowed to change the minds of men. So, he decided to become a voice in the shoe industry and set out to start his own footwear range. This was not a quick and easy road, though. After having studied Entrepreneurship at the University of Washington, the real work began. 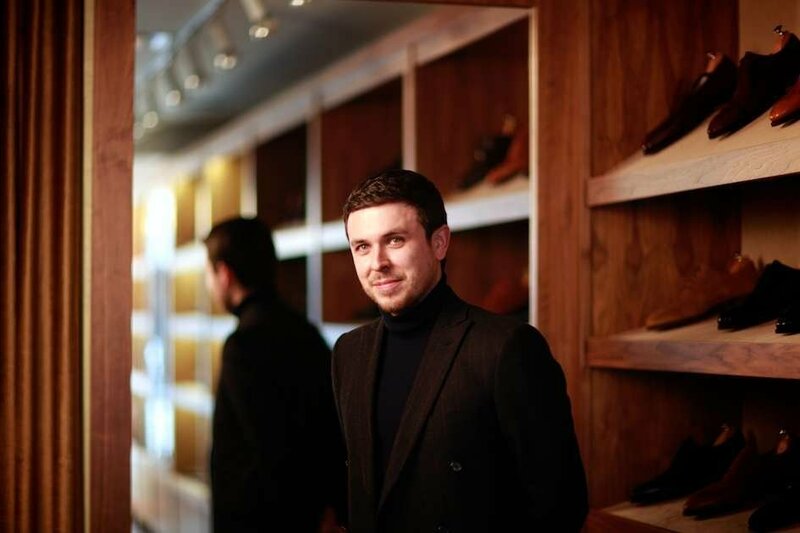 Justin created a 5 year plan to learn everything there was to learn about shoes in order to gain the knowledge that one needs to become an authority on footwear as well as the skill set to create and maintain a successful range of footwear. This 5 year plan included starting in the trenches and mastering every aspect of men's footwear -- from the creation of the shoes to the sale in the store. After two years on the shoe floor of Seattle's best shoe store, Nordstrom, Justin found a connection that could help him get to the leather mecca of the world - Florence, Italy. With an opportunity of a lifetime ahead of him, Justin quickly cashed out his pension (at 24), took what little savings he had, packed his life up and just moved to Italy where he knew neither the language nor any Italians! It was worth every risk. In Florence, he was fortunate enough to apprentice with the late legendary bespoke shoemaker, Mr. Stefano Bemer, before his untimely passing. During this apprenticeship, Justin's eyes truly opened to the beauty that could be created in footwear. In Italy, Justin learned the art of handmade, bespoke shoemaking as well as the art of artisanal shoe shining (something that would prove beneficial for the future). However, no road to success is without a few bumps. Having plowed through his savings while apprenticing (worthy, but not well-paid work! ), Justin found himself back home, to replenish his savings. It took a year, which included the back-and-forth travel between Seattle and Europe in order to see his then-girlfriend while at the same time continuing to make contacts in the industry. It was during this year of downtime that Justin decided to start his world-wide read blog, The Shoe Snob, wanting to create a source of knowledge where he could share insights into the shoe industry of which had never been unveiled before. Now writing about shoes, and getting closer to designing....Justin was still hungry to learn. He needed a mentor. This was a no-brainer as he had admired Gaziano & Girling since their launch in 2006. Justin contacted Tony & Dean in the hopes to work for them and further his knowledge. They were both keen to help Justin where they could, but the problem became the impossibility of commuting 6 hours, day in and day out without a wage (as his skill set still needed improvement on the making side of things before being paid). Justin realized that he needed to find another route. There was a position at Gieves & Hawkes, No. 1 Savile Row, for a military-grade shoe shining expert. Luckily, this was a skill he learned in Italy, and now he had a foot in the door, so to speak, to the industry. Living in Brighton, Justin found himself with two hours of downtime each day on his commute to London. Finally, the time to design was at hand. He started to knock out shoe designs on plain white paper and with a pencil. He created the beginning of a portfolio. But as with any work of art -- painstaking revisions occupied much of his time to get the proportions of the shoe right. With the designs finally sorted, it was time to create the patterns and lasts.Tony Gaziano, one of the best pattern and last makers in the world, was kind enough to take Justin under his wing and mentor him. Not only did Tony give Justin immeasurable amounts of invaluable knowledge but he also made Justin a bespoke last from his (Justin’s) own feet that he would later use to base his RTW lasts off of (to maintain the shape of a bespoke look but put onto a RTW shoe). With this Justin finally felt it time to find a factory that could turn his designs into a reality. Not long after Justin found a factory that could create his shoes. 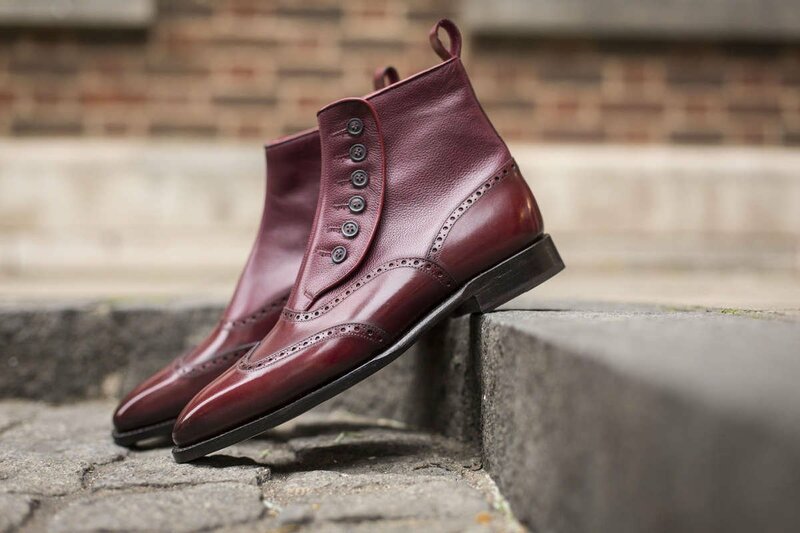 After having spent nearly a year and a half working on this first collection and convincing Gieves & Hawkes to allow him to sell his shoes at their No1 Savile Row location, Justin was finally ready to realize his dreams and launch his first collection of footwear. And thus he did. Fast forward to the present day. Having spent nearly 9 years in Europe, Justin is now back in the US, growing the brand in his home turf with a base in NYC. 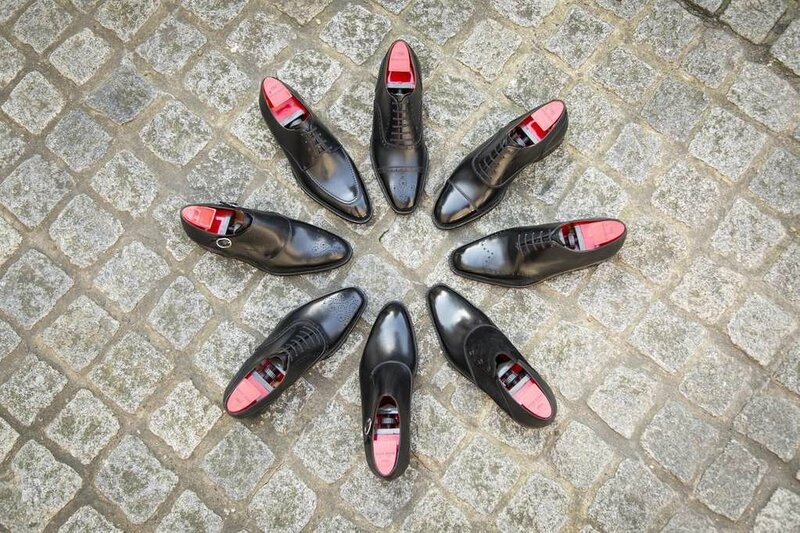 His vision of seeing men in better shoes grows daily and with US expansion rampant it is not long before his initial goal becomes a strong reality.